Start the weekend right with a classic pairing of shellfish and pasta- a match made in heaven indeed! 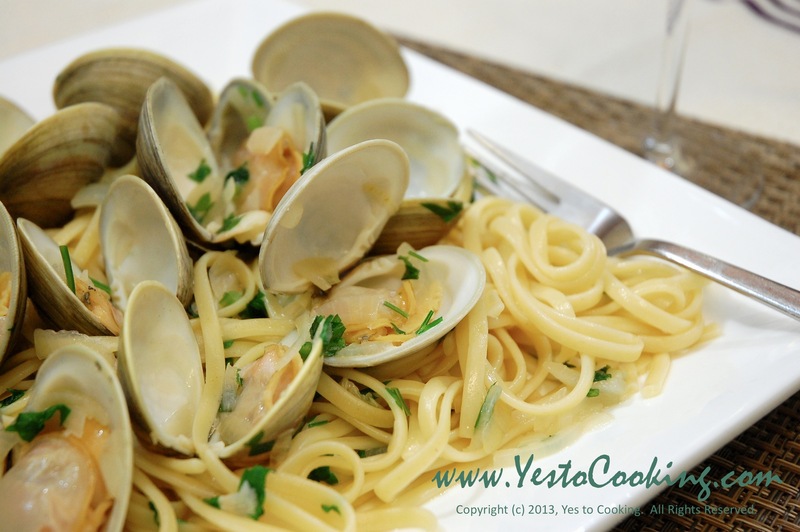 This recipe features tender little neck clams with a white wine sauce and served over linguine. The white wine is a highlight of this dish, so select one you would enjoy drinking for this recipe. I have chosen to use a Sauvignon Blanc, which is known for its moderately weighted, crisp quality; therefore, this wine is a natural complement to lower fat seafoods (such as oysters, flaky white fish, and clams). 1) Place clams in a metal bowl and fill with cold tap water. Let the clams sit for 1 hour to allow the clams to spit out the sand from inside their shells. 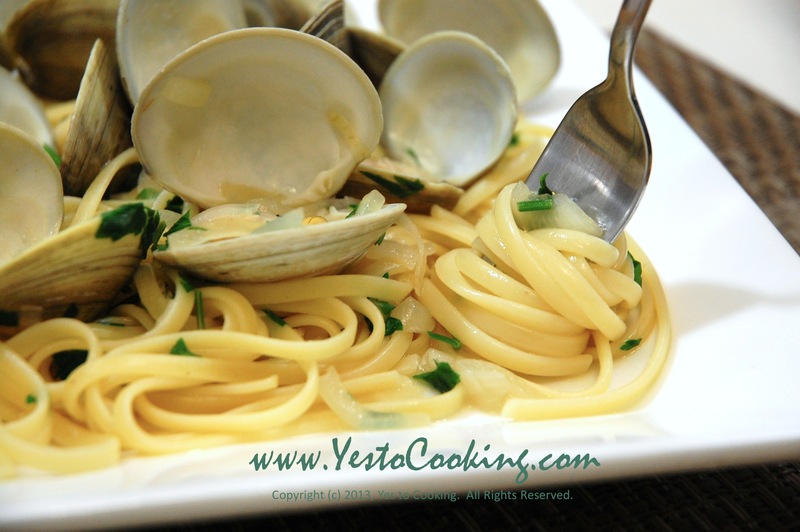 When ready to cook, use a firm brush to scrub the clams and set aside in a colander. 2) In the meantime, heat butter over medium heat in a large saucepan; add garlic and cook until lightly brown, 2-3 minutes. 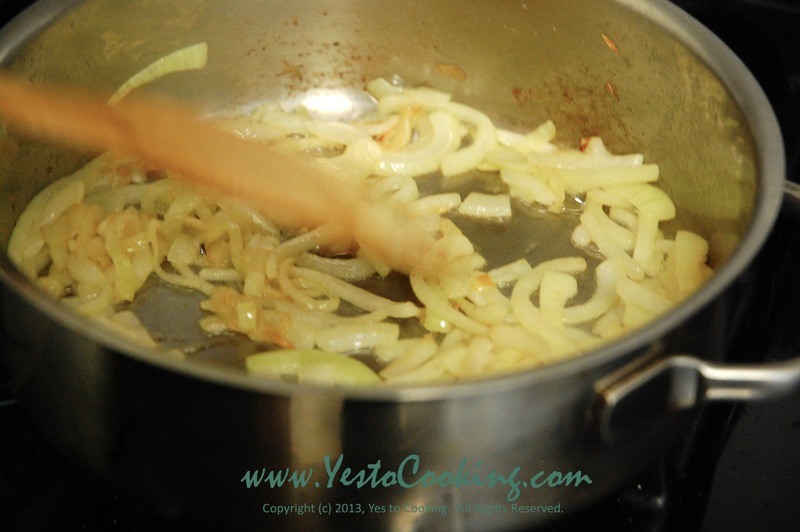 Add onion and cook until soft, about 5-10 minutes. 3) Add wine and bring to a boil then add the claim juice. Cook and stir occasionally until the juice reduced to half, about 20 minutes. 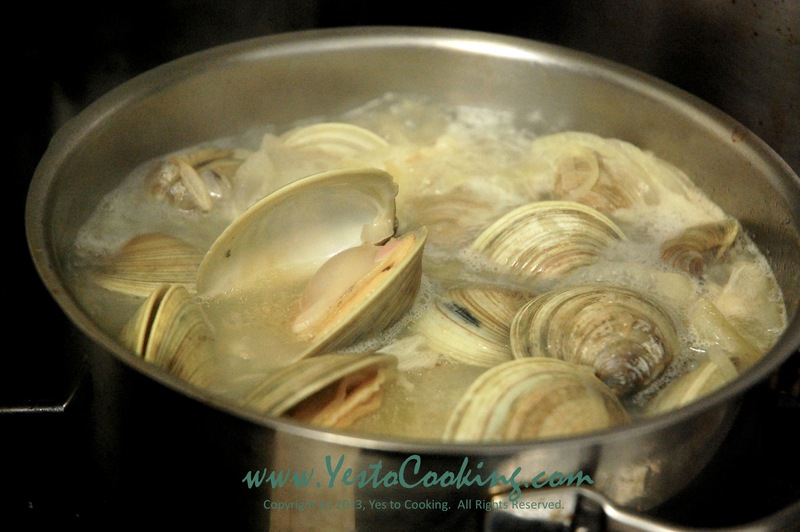 4) Add clams, cover the pan and bring it to a boil over medium heat. Stir occasionally, cook until all clams have opened. Discard any clams that haven’t opened. 5) Carefully transfer cooked clams to a bowl and keep them warm. 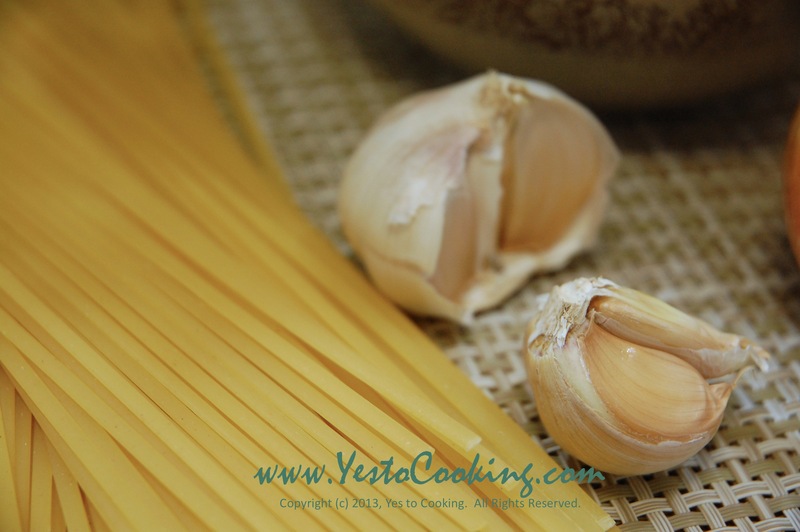 6) Meanwhile, bring a large pot of water to a boil; add 1 teaspoon salt and linguine; cook until al dente about 8 – 10 minutes. 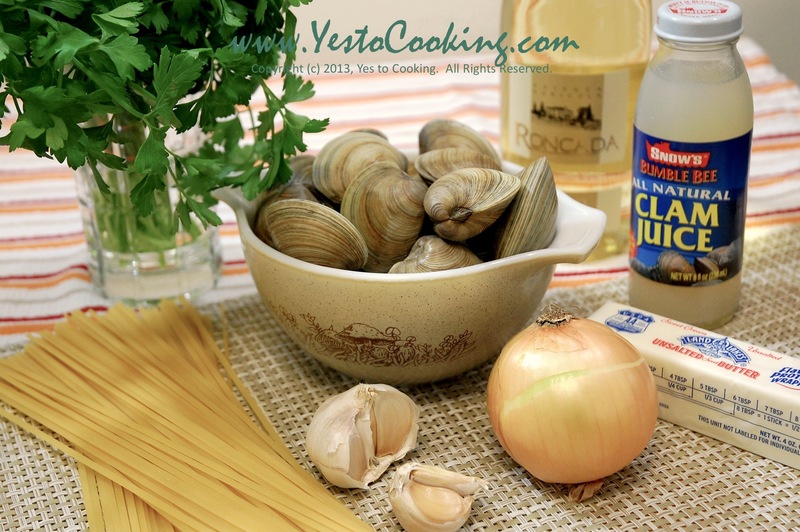 7) Bring the clam liquid to a boil and add pasta. Cook the pasta together with the sauce until the sauce clings to the pasta about 2-3 minutes. 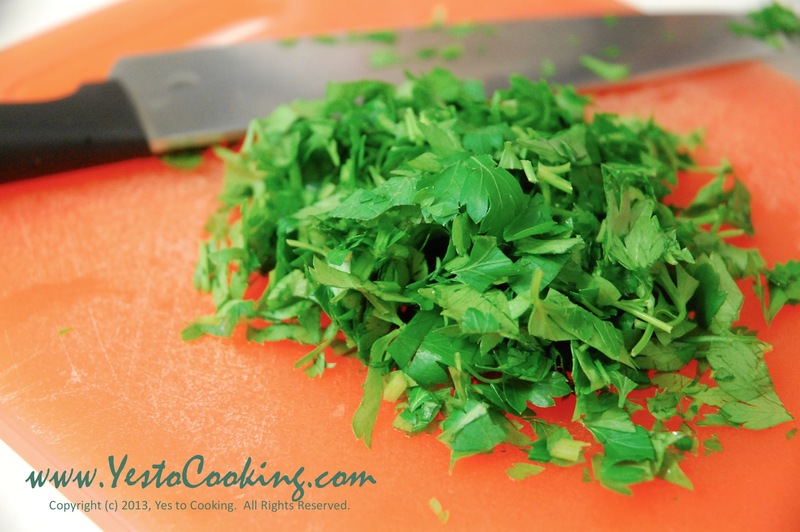 8) Turn off the heat and stir in the parsley. 9) Divide the pasta into serving dishes; drizzle with a little olive oil; garnish with the clams and serve with Parmigiano-Reggiano cheese, if desired. Make sure that none of the clams you get from the fishmonger are open, chipped, or broken. 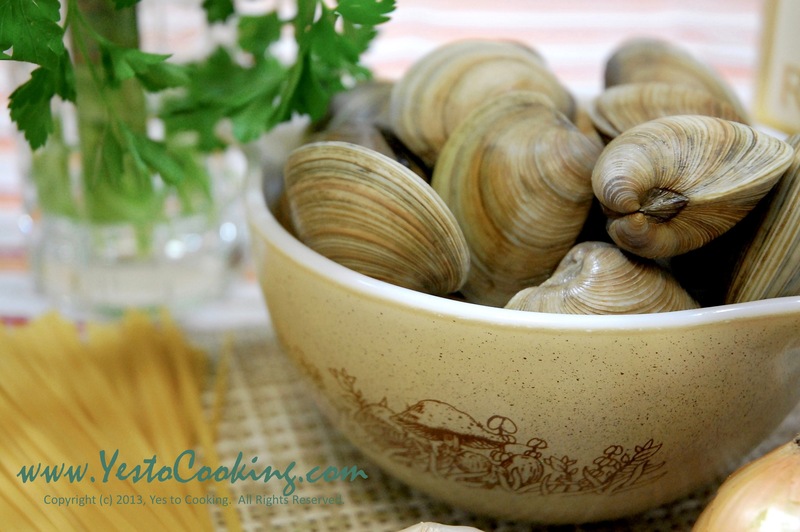 The purpose of placing the clams in fresh cold water after you purchase them is for the clams to filter the water. As the fresh water is filtered, the clams push salt water and sand out of their shells. 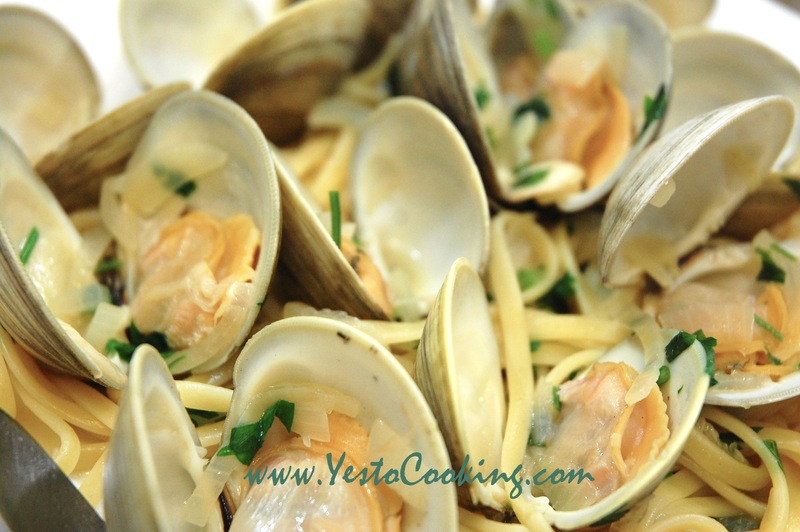 Another tip is to pull the clams out of the water as opposed to pouring the water out. This is because sand will have deposited at the bottom of the bowl; and, you do not want to mix the sand back onto the tops of the clams. 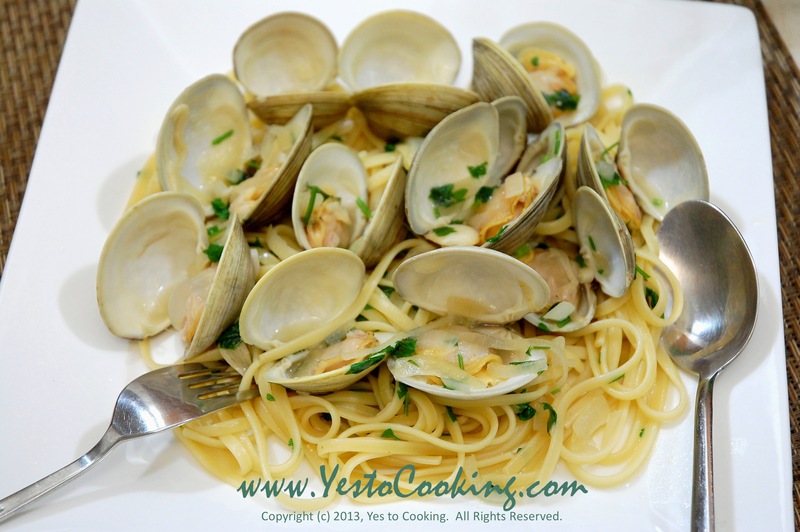 Tags: clam pasta, clam pasta white wine sauce, cooking, dinner, how to cook clams, how to select clams, little neck clam pasta, little neck clam recipe, pasta dinners, shellfish pasta, western, white wine clam pairing, white wine seafood pairing. Bookmark the permalink. This looks so good. I am longing to try this recipe. looks great. Any idea on what what to add for leaving out the wine? I know it’s supposed to cook out, but I don’t want to chance it. Thank you. Great question! You can consider using chicken broth as a substitute. Just remember to adjust your seasoning (particularly, salt) if you’re not using low-sodium chicken broth. Otherwise, it may be too salty. I hope you don’t mind if I reblog your link on my reblog tastings page? This looks delicious! I have made very little seafood myself but will enjoy it at restaurants. Thank you for the detailed instructions! neck clam with white wine, nothing more to said but tasty! I also love Fra Diavlo, I tend to make it too hot, it was not edible. I like clams, shellfish,lobster, but not fish. Any ideas? Onions are not listed in ingredients but are in the instructions. How much onion and how is it cut? I might try this if I have a complete recipe. Thank You. Did not see the amount of onion to be used. Making tonight.